Sleepover Fun! Nail Salon Cookies! 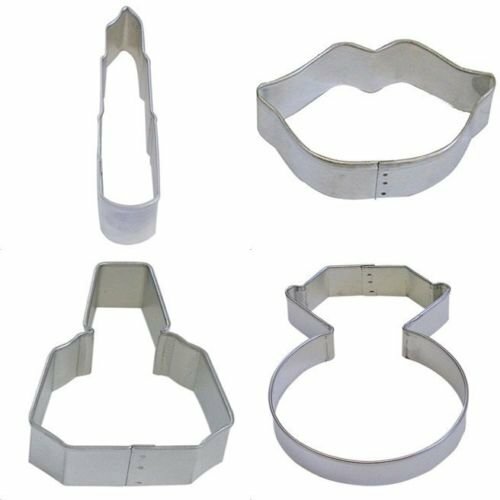 4 pc Includes: Lipstick 3", Ring 3.75", Nail Polish 2.75", Lip 3.5" Metal New Cookie Cutter Care: Tinplate/metal cookie cutters should not be submersed in water or washed in the dishwasher. Simply wipe off with damp cloth. In situations where it is required to sanitize, wash in warm soapy water and quickly hand dry or they will turn black.